You sing happy birthday to the kid then you're out the door. Driving over the pass you see one too many truck/drift boat combos. It's the weekend and seemingly everyone is going fishing. There's only one "Blue Ribbon" trout stream in this, the second most populated state west of the Mississippi. 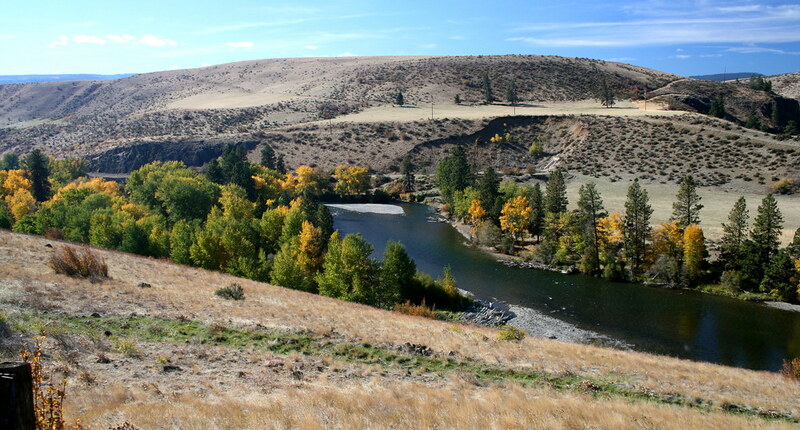 It has more guides per trout than any other river in the West and they think that they own the water. You've got no love for the sonsabitches. Just thinking about it depresses you so you decide to head to the upper end of the river, let the sports and weekend warriors (looks you're one of them now) battle it out in the canyon. The Upper, there's fewer trout but they're bigger. That's the rumor anyhow, been on all the bulletin boards and kiss-n-tell fishing sites all year. "The Upper, for bigger fish: more wild, more native." You pull of the interstate and drive down River Road. Cars in every pull out. Apparently the rumors are true, either that or people believe everything they read. Read this people: The steelhead rivers are full of record numbers of fish and they're taking anything that skates a wake, go get 'em! You find some water and wader up. Having never fished this particular section you develop a baseless sense of optimism. "Yeah that far bank looks good, all the way up, right under those trees, through the riffle and right up to the head of the run, good stuff." And it was good, not great just good. Only one boat floated by, down the other bank. You fished dry flies and rose some trout. Most were smallish, a few were of respectable size and one was what anyone would call a big trout. A good day. You would have caught more down in The Canyon but you hate crowds and besides these fish were more wild and native. Congrats on your first post spawn fishing excursion. The site looks good except for that picture. It makes you thin and unseasonably handsome. Seems like you had a better time than I did on the "Blue Ribbon"... Great write up. It's pretty much exactly how I feel about it. I tried the upper this last weekend, a wild goose chase for spawning brown trout, almost died scaling walls of a gorge. No fish, no fun. Big D-3, Matt-0. Don't tell me you've been spending you're evenings at the community college writing workshop??????????????? ?